Partnering with the arts is an ideal way to recruit and retain your employees, enhance your brand, foster creativity and collaboration, and strengthen community vitality. Learn more about why the arts and creative industries are important to economic and community development in Eastern Colorado, as well as the individual business case for partnering with the cultural sector. Get some best practices and applicable strategies to incorporate the arts into your plans for business growth and impact! Bring your lunch, and join us for this workshop! 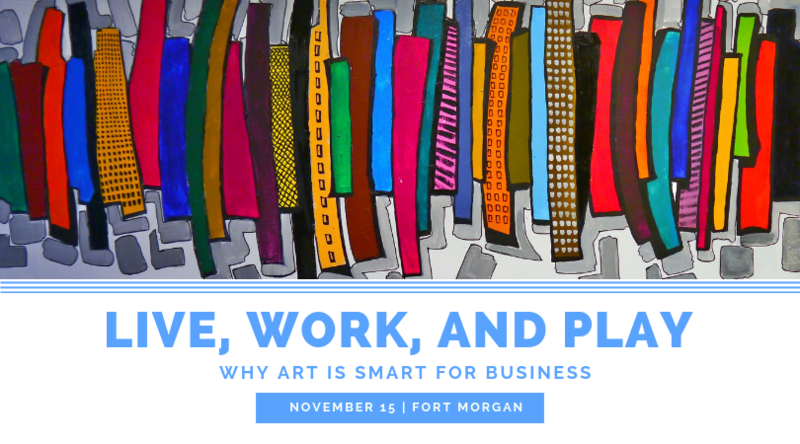 This event is hosted in collaboration by East Colorado SBDC, Fort Morgan Area Chamber of Commerce, Brush Area Chamber of Commerce, Morgan Commuity College, UNC BizHub Collaborative and the Monfort College of Business.